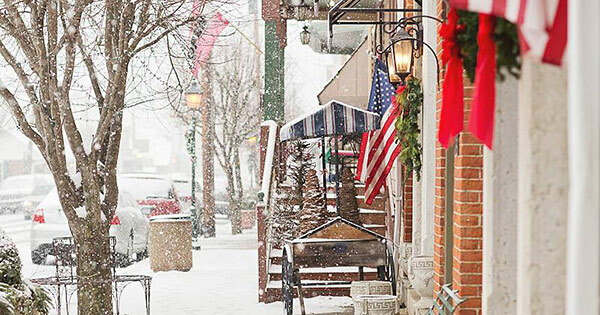 Step back in time for a small town Christmas and go home feeling the holiday spirit. Visit Waynesville Ohio this holiday season and capture the spirit of the holidays! Stroll in and out of retail and dining storefronts, while listening to barbershop quartets, choirs and musicians. Enjoy 1300 luminaries (Friday & Saturday evenings), take a carriage ride and feel that the holiday spirit in the air with the clip clapping of the horses hooves and jingle bells. Costume characters will be throughout the weekend to help bring a smile to your face. Don't forget jolly old St. Nick he will be here all weekend long to listen to the requests of all the good boys and girls. Make this a weekend to remember and visit Waynesville this holiday season. Find more events like "Waynesville Christmas in the Village"